The Science Museum of Virginia has extended the exhibition period for Da Vinci Alive – The Experience, the most comprehensive traveling exhibition on one of history’s greatest minds. The exhibition will now close on Thursday, September 7. Da Vinci Alive – The Experience explores da Vinci’s legacy like never before, highlighting his contributions to engineering, flight, art, science and beyond. The exhibition houses life-size models of da Vinci’s machine inventions, alongside animations depicting his most notable works and touchscreen versions of his actual codices. The unparalleled exhibition also marks the North American debut of a unique state-of-the-art SENSORY4™ multimedia gallery, telling the story of da Vinci’s life and achievements in an unforgettable immersive experience. To mark the final Friday of the exhibition, the Museum is hosting a “Ciao Leo!” happy hour on Sept. 1, from 5 – 8 p.m., where guests can unwind from the week with local food trucks and adult beverages. Da Vinci Alive – The Experience will be open for special evening hours at a reduced, $10 exhibition-only ticket. Guests also have the opportunity to view Da Vinci Alive – The Experience on Labor Day. Sept. 4 marks the last Monday the Museum is open seven days a week until Memorial Day. Da Vinci Alive – The Experience tickets are $25 per person, with $1 discount for youth and seniors. Museum member tickets are $7. Tickets during regular Museum hours include Museum exhibit admission. To purchase tickets or for more information, visit smv.org or call 804.864.1400. 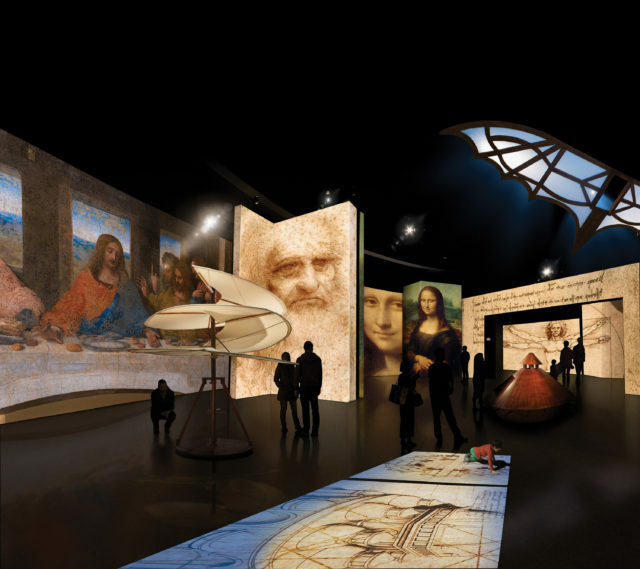 Da Vinci Alive – The Experience was developed by Grande Exhibitions in Australia, under the auspices of the Commune di Roma, Commune di Firenze and Citta di Venezia, with the kind assistance of Pascal Cotte of Lumiere Technology, France. The exhibition is presented locally by Altria Group.